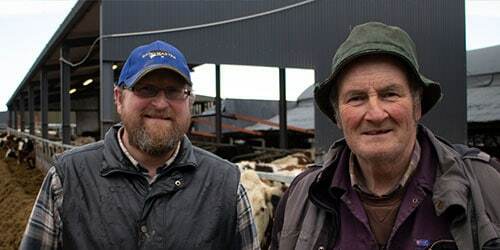 "As soon as we started using Actisaf®, things improved…"
The inclusion of Actisaf® in cow rations has enabled one family farming partnership in Annan, Scotland, to maintain high milk yields without having to worry about the negative impact of acidosis on cow health and performance. 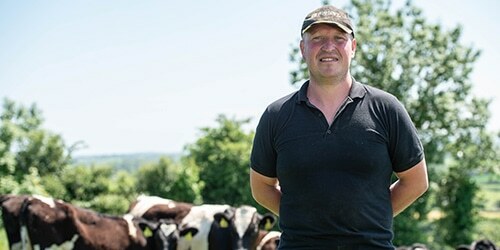 Callum Jamieson (pictured) farms in partnership with his father and two brothers, helping to manage a 400 strong Holstein Friesian dairy herd at Woodhead Farm. Milk is supplied to Arla and yields currently stand at an average of 11,500 litres/year, with butterfat at 3.9 per cent and protein, 3.3 per cent. Cows are fed a TMR all year round, with a 50/50 split between forage (grass and whole crop silage) and concentrates. 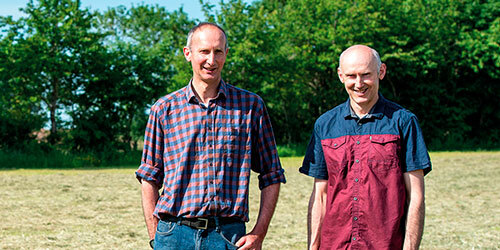 The farm makes use of large quantities of homegrown grass silage and aims for at least four grass cuts a year; reseeding leys every 4-5 years. In order to ensure high levels of milk production and maintain cow energy levels, the farm’s TMR is high in terms of starch and sugar content. Whilst beneficial in many ways, the formulation of the diet can result in problems with acidosis. 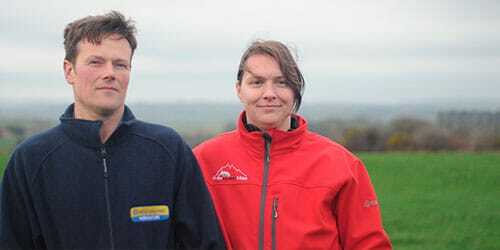 In 2015 Ros Hughes, from Kite Consulting, started to work with Callum and suggested feeding Supersaf, which contains Actisaf® premium probiotic yeast, to help combat the acidosis problems. However, in the spring of 2016, the decision was made to remove Supersaf from the herd’s rations, largely due to the continuing pressure of low milk prices. Callum currently feeds cows 70g of Supersaf a day and doesn’t plan to take it out of their diet again.